Edited 20 times, last by joanamss ( Jun 9th 2014 ). Edited 10 times, last by joanamss ( Jul 1st 2014 ). Edited 6 times, last by joanamss ( Sep 14th 2014 ). Edited 4 times, last by joanamss ( Jun 3rd 2014 ). Araraquara is not a new team, they played this year's Superleague. And...has Dani Scott officially renewed ?! I think Gelka is going to replace her. Also, Sassa and Karine are not confirmed yet by Praia. Its because I used last season model for this...and I forgot to take off the "NEW TEAM" from Uniara, Ill correct it. The ones in bold are the ones confirmed. The other are rumors, that more than one site putted, so I added, cause might become true..I guess. but still not confirmed..
Edited once, last by joanamss ( May 8th 2014 ). SESI will keep the team base for next season. Natália officialy back to Unilever. 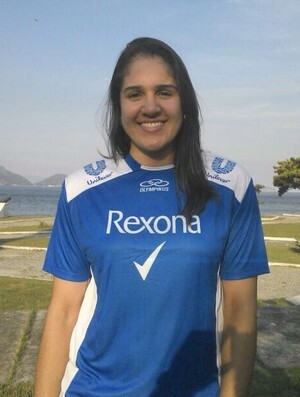 I hope Mari will be a starter in Osasco. Ivna is just too weak to reach a final. Thanks! Do you know what players? Edit: just found in melhor do volei. Edited 2 times, last by joanamss ( Jun 2nd 2014 ). ivna maybe weak right now but is mari stll on her 2005-2009 level? São José Vôlei confirmed the both teams (female/male) in the next Superliga and renewed/signed with some players. Edited once, last by hana ( Jun 3rd 2014 ). Interview with Andréia and her new arrival to Unilever. Brasília presents the team for season 14/15. Why do They write sometimes Player with name and surname but then Player with only one I don't know name or surname f.ex Amanda Marino and next Michelle? Campinas and RJX are officially out. Do you know guys why so many teams are not playing the Divisao Especial Paulista? Araraquara, Barueri, Osasco, Pinheiros and Sao Caetano are missing in the women's tournament. Sao Bernardo is scheduled, but it looks like they retired from the tournament. Taubaté, Sesi and Sao Bernardo are missing in the men's tournament.